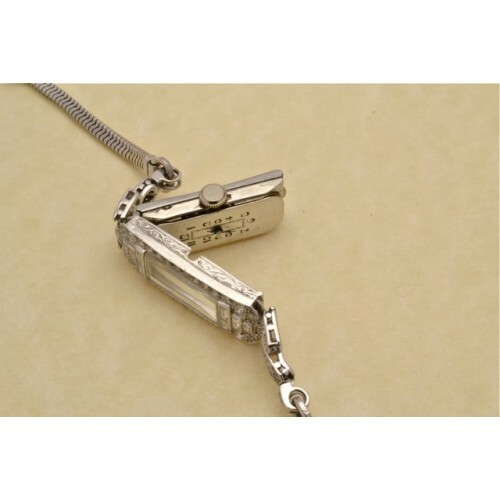 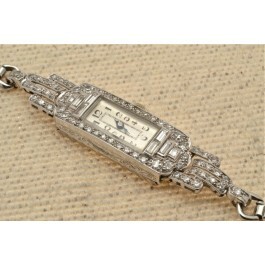 Antique platinum diamond set wrist watch. 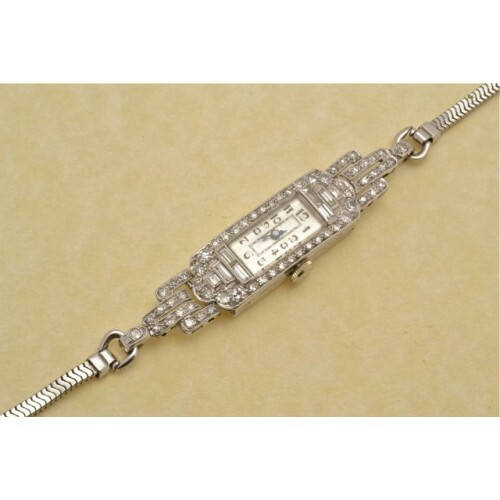 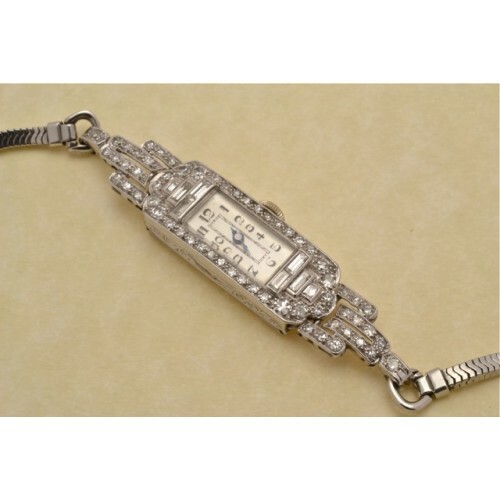 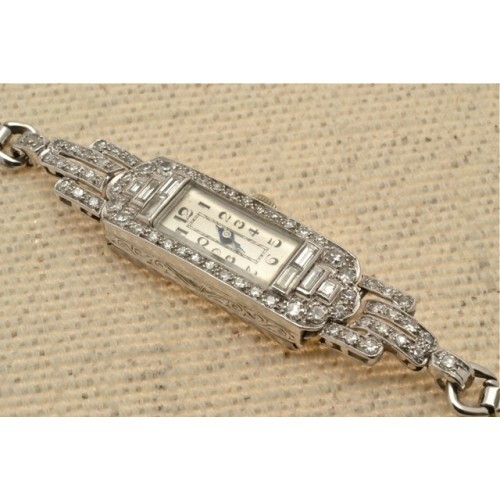 A magnificent antique platinum set diamond wrist watch Art Deco style having a total of eight baguette diamonds and sixty-two round old cut diamonds weighing circa 1 carat. 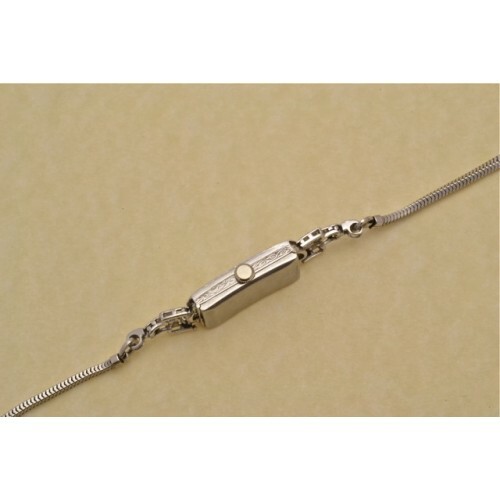 The bracelet is snake linked white rolled gold.